During puberty, the executive part of the adolescent brain (prefrontal cortex) is still developing. As a result, the skills that help to organize, plan, and think through consequences lack maturity. 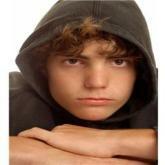 Adolescents respond with more of an emotional reaction, rather than the more thought out response of an adult. Prefrontal cortex controls impulse control, planning, and decision making. Adult response to stimuli tends to be more intellectual, while teens’ is often more "from the gut." For example, research indicates that teens are highly influenced by the presence of their peers, and often make one decision in the presence of an adult and given the same situation, make a different decision in the presence of peers. Although adults may see a teen as being mature, frequently the teen does not take in and process information the way an adult does. How does this impact parents or teachers? Your well-behaved child at home could be very different when surrounded by peers. Teens may not respond by thinking through the consequences of an adult’s instruction to them. Instead, the teen reacts from an emotional response, which can result in the adult and teen having a conflict with one another. An example: After talking with your teen about his behavior in English class the parent assumes that the teen will change his behavior. In reality the teen continues to misbehaves to impress a girl and three of his friends. It is important for adults to understand the brain development in adolescence and not over react when your teen does not think through the consequences of his or her actions. Guidance from adults are essential while this decision-making circuitry is being formed. Learning to communicate is key to this process.